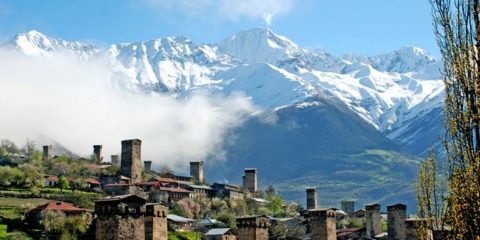 Kvareli, located in Kakheti region 130km from Tbilisi and 40km from Telavi, is a small city off on the forested slopes of the Greater Caucasus Mountains. Kvareli is charming town- place which to my mind, can perfectly describe Caucasus and all what tourists like about Georgia: Gremi and Nekresi churches on the mountain slopes with nice forests, fresoces and amazing views, wineries including Khareba winery which is one of the big and spectacular, 2 artificial lakes at the edge of mountains and surrounded by forests with of the best hotels located in Georgian countryside. Gremi Church can be visited on the way from Telavi to Kvareli (20km). 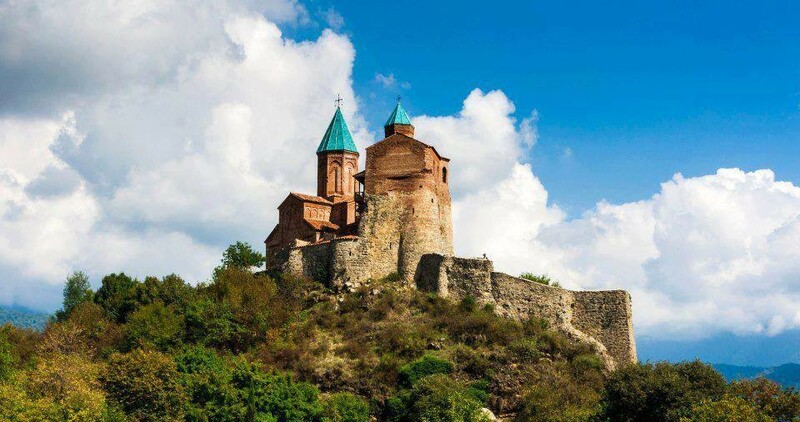 The fortress with church, built in the 16th century by King Levan and a tower standing on the small hill near the central road looks magnificent any time of the day and any season. 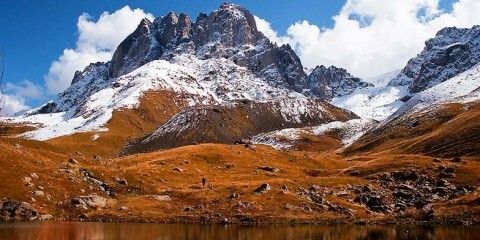 It is included in the Unesco tentative list. 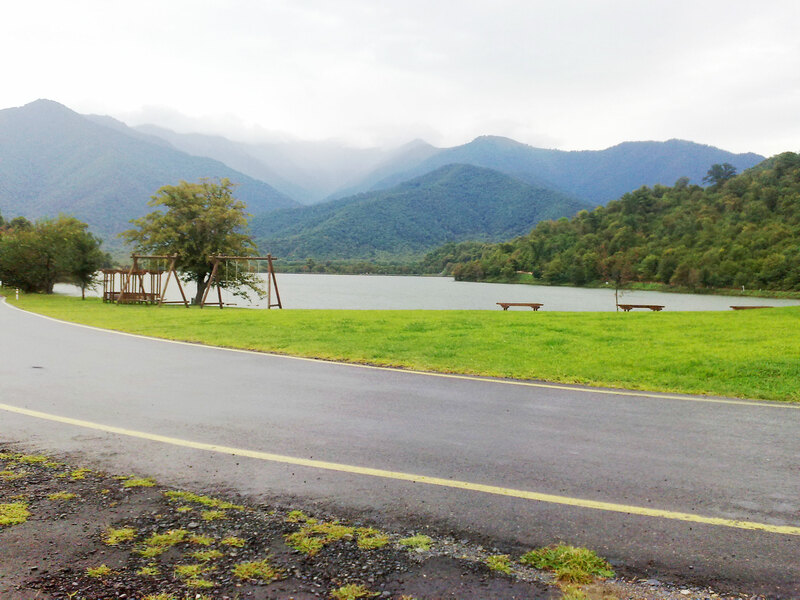 There is recreational zone at the church with some souvenir shops and camping places. 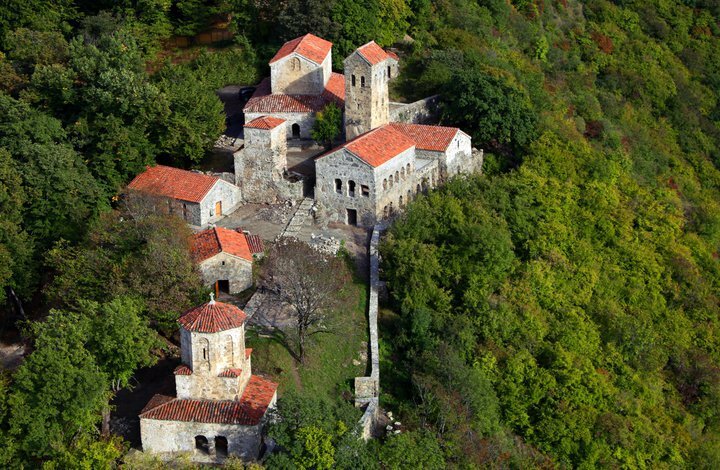 After Gremi church you can drive 10 minutes to Nekresi Monastery which is also impressive but its more famous for its views over Alazani valley and the autumn colors of the forest on the hill where it is located. Last 1.5km you need to take local marshutka (mini-bus) to the Monastery’s very steep ascent. Marshutka costs 1 GEL and operates till 5pm. 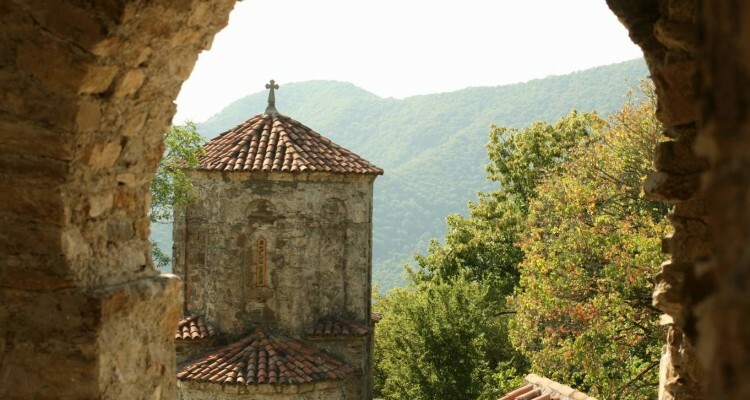 Like Alaverdi, Davit-Gareji, Ikalto and other churches Nekresi is also founded by 13 Syrian fathers in the 6th century who came to Georgia to strengthen Christianity. There is wine cellar and tower in Nekresi. Across the church in the valley there are ruins of Fire-worshiping (Zoroastrian) temple. 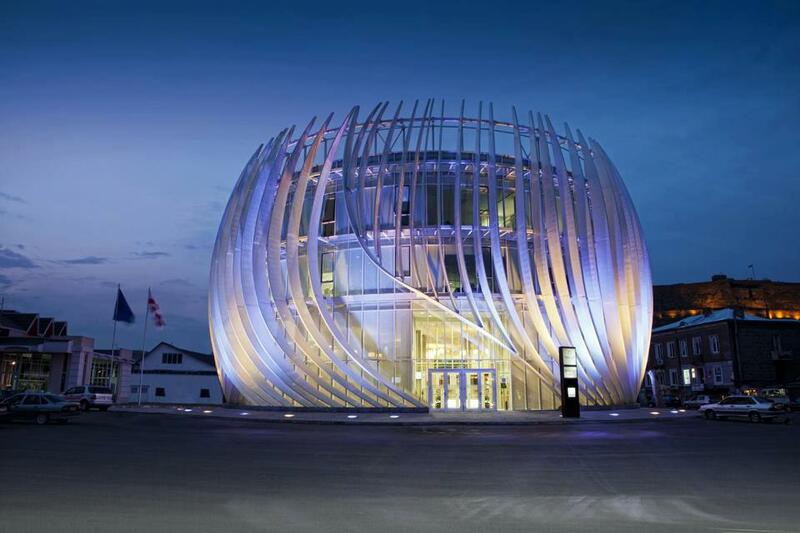 “Winery Khareba”wine cellar is next recommended sightseeing of Kvareli. There is some section of Gvirabi (The tunnel) used for wine tours. 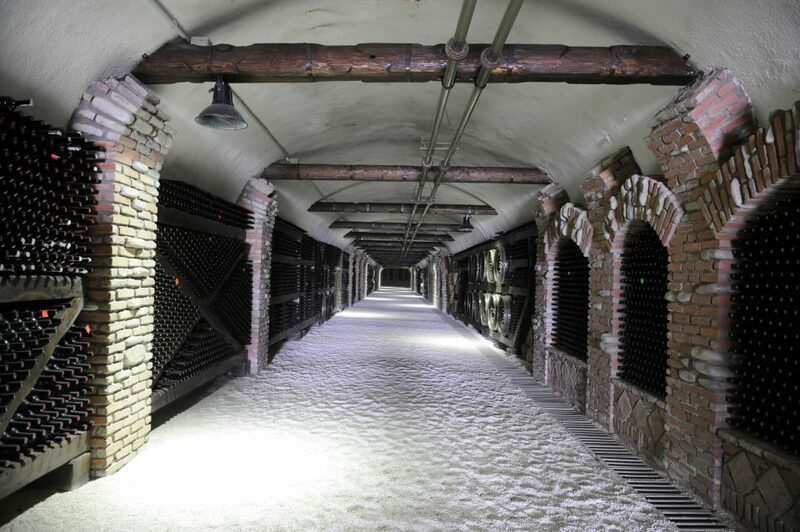 The tunnel which was opened in 1962 for the World Wine Congress, has total 7.7km lengths. In the beginning, it belonged to the government and wine from the entire Kakheti region was stored here. Nowadays, it is the “Winery Khareba”cellar, used to age wine. 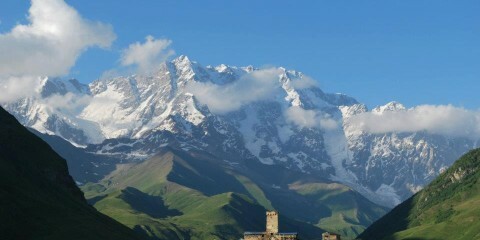 There are wine and Chacha (Georgian vodka) making facilities as well as Tone (Georgian bakery) represented here. You can do some wine tasting too and take part in some traditional and enjoyable activities. There is a restaurant also serving guests with a view to waterfall, tower and some other recreational facilities of the tourist complex. Information about tourist packages can be found here. There are some nice hotels in Kvareli. 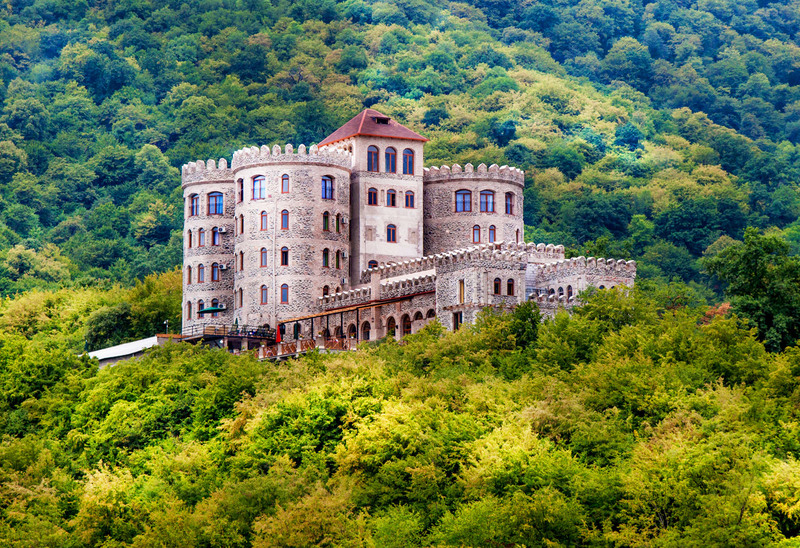 One of them- Royal Batoni, which is built in a style of medieval castle, is located on the hill and has outdoor terrace and swimming pool overlooking publicly open Ilia Lake recreational park and Alazani valley. Another hotel (Kvareli Lake resort) has a wonderful location- by the lake, surrounded by forest is located near another lake which only belongs to the hotel with huge recreational area. Inside the city there are other nice hotels which offers high quality services, among them are luxurious Kvareli Eden hotel and Cheatau Kvareli. Kvareli is also interesting ethnographically. Georgians from Kakheti (Kakhetians) are very generous, nice and hospitable people. You can visit some rural areas too to experience traditional life, food and something not touristic. You can contact me if you want this kind of trip. There are also ethnic minorities living in Kvareli. Zinobiani village is famous for Ancient Albanian people, Udi Tribe will Chantliskure village has lezgin (Daghestani) population.